Xv2-NPOC-200 is a breakthrough of the ultra-compact controller series. 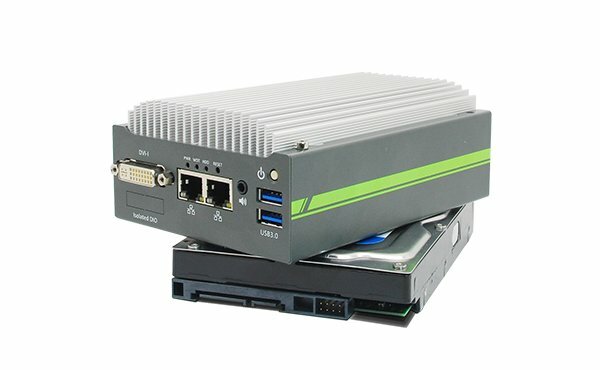 Inheriting the concept of favorable Xv2-NPOC-100, Xv2-NPOC-200 series further incorporates greater computing power and more versatile functions in its 3.5″ HDD footprint. The new Intel® Atom™ Bay Trail processor brings a leaping for both arithmetic and graphics performance. 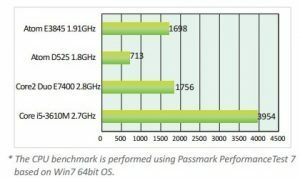 With Atom™ E3845 quad-core processor, Xv2-NPOC-200 can deliver more than 200% performance over previous D525/D2550 platform. It also feature comprehensive I/O interfaces to make use of the advance of compting power. 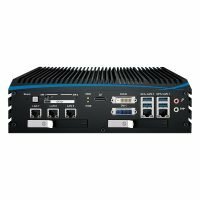 Two Gigabit Ethernet and three USB 3.0 ports are integrated so you can connect GigE/USB3 cameras for vision applications. Its IEEE 802.3at PoE+ option is capable to supply 25.5W each port to power you IP camera for surveillance applications. 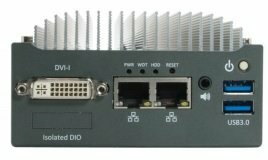 Xv2-NPOC-200 also features up to four COM ports and digital I/O for general-purpose industrial applications. Size is another attractive feature of Xv2-NPOC-200. Its 6″x4″ footprint makes installation of Xv2-NPOC-200 extremely easy. And its -25°C to 70°C operating temperature eliminates the restriction for deployment environment. There are derivative models with different CPU and I/O configuration so you can always find a fit Xv2-NPOC-200 for your application. Leveraging 22 nm lithography, the latest Intel® Atom™ Bay Trail processor brings significant performance advance. Xv2-NPOC-200 utilizes quad-core Atom™ E3845 CPU and is about 240% faster than previous D525 platform. Its integrated Intel® HD Graphics engine, moreover, can offer outstanding performance for 3D and video codec. 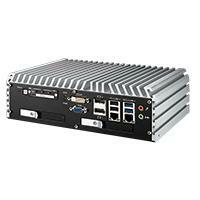 Though Xv2-NPOC-200 takes only a 3.5″ HDD footprint, it possesses everything needed for a embedded platform. 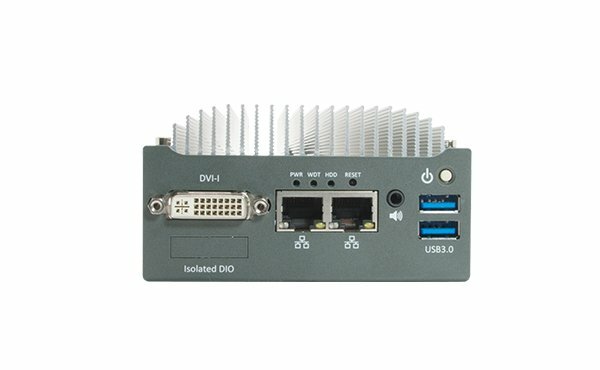 USB 3.0, COM ports, digital I/O and DVI/VGA are natively integrated on-board. It can accommodate one 2.5” HDD/SSD inside to provide larger storage capacity. For Xv2-NPOC-212/222, an ingenious easy-swap HDD tray is provided for quick HDD installation/replacement. Xv2-NPOC-200 is the smallest embedded controller integrates multiple IEEE 802.3at PoE ports. 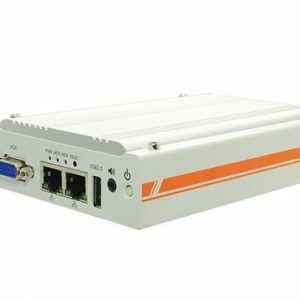 As each port can supply 25.5W power, Xv2-NPOC-200 is a turnkey platform for connecting PoE Powered Device (PD), such as GigE camera, IP camera, wireless AP and etc. This PoE capability gives great convenience for your vision or surveillance applications.